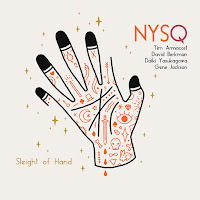 As the band name implies (New York Standards Quartet) this isn't a self-indulgent collection of'originals' penned by some callow youth, but a choice selection of not overworked themes. In a Sentimental Mood is another fave of mine - if, in the unlikely scenario of Armacost phoning me from New York and asking me to suggest some standards for his forthcoming album, the chances are we'd concur on at least 50% of the choices. Certainly on this one. 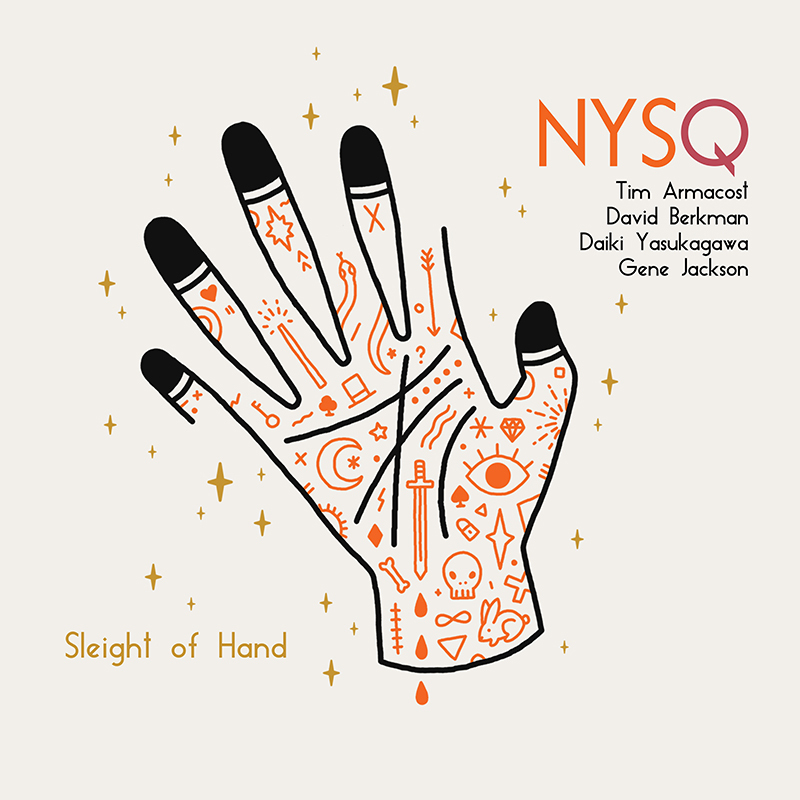 Sleight of Hand is a different circle of fifths. An 'original' by Berkman it is described as an irresistibly playful take on But Not For me. Can't argue with that! I Fall in Love Too Easily - maybe I do as I'm rapidly falling in love with this album! Armacost on soprano plays scant regard to the melody yet it is always there with the rhythm guys huffing and puffing behind him adding to the overall before fading gently in love like me. This I Dig of You. Hank Mobley's masterpiece is given a work out that I'm sure the composer would have given the thumbs up to. The double bass intro also earned a few [Ray] Brownie points. As always, the tenorman takes it up, down and round about whilst Berkman makes me think I'd like a trio album by him. Then Jackson boots it home. Detour Ahead's a number many chanteuses have done proud although, apparently Herb Ellis, the composer, made the definitive version. Well I haven't heard Herb's recording so, until then, this will do for me! Lover Man. Forget the poignant emotive versions of this tune by Parker, Billie, Sarah and others. Berkman and Armacost aren't tender lover men they're virile studs strutting their stuff - vestal virgins stay indoors tonight don't go near the coast! (apologies for sexist remark). Can't recommend this too highly!